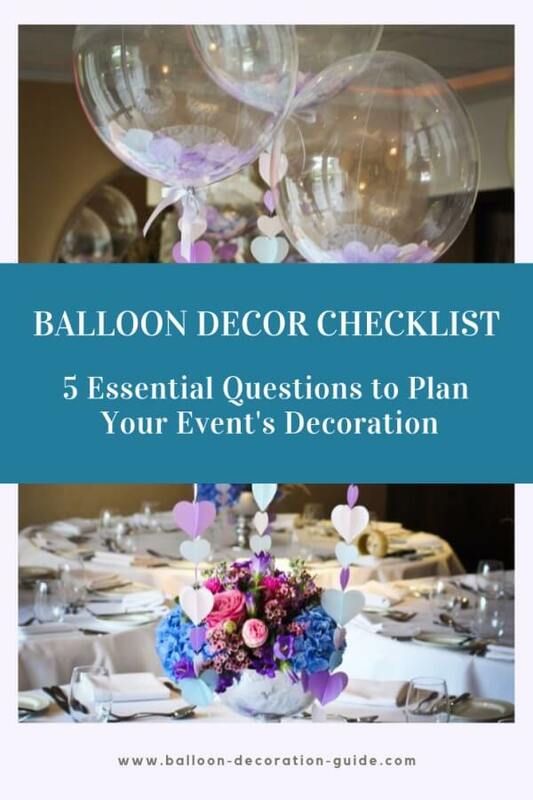 To help you decide which balloon decor fits your needs best, here are the 5 essential questions you need to ask and answer. If you have limited time, a balloon centerpiece like our "Balloon Bouquet Simple & Elegant" will be the best choice for you. You can prepare the table bases well in advance (or buy ready made ones). On the actual day of your event you'll fill the balloons with helium and attach them to their anchors. Place them on the tables, give it a nice finish with some theme matching confetti ... and enjoy your party! If you are on a tight budget, then again we'd recommend to go for the balloon bouquets. With relatively few balloons and inexpensive accessories you can create an amazing effect. 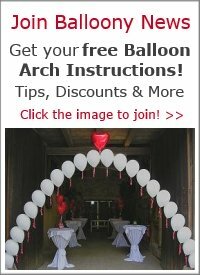 If you want an even cheaper alternative, one that doesn't require helium, consider using balloon sticks for your design. See our "Marabou Balloon Heart" as an example. How long should your decoration last? Most events, like birthday parties or weddings, will just be a single day or evening. So the helium filled designs will do fine. 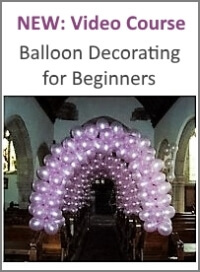 #1: Choose an air filled decoration, like these balloon columns. #2: Use mylar balloons instead of latex. They keep inflated for much longer than latex balloons. #2: Treat your helium filled latex balloons with "hi-float," a substance that increases their floating time. Planning balloon decor in your own home is fairly easy because you already know the dimensions and the layout of your room. If your event takes places in a venue it is important to check it out well in advance. Make an appointment with whoever is in charge and discuss your plans. Take a measuring tape, a notepad, a pencil and a camera with you. Draw a rough sketch of the room, measure and note down the dimensions. How many tables will be there? How will they be arranged? Is there a stage or a dance floor that you might want to highlight? Can the entrance or exit be framed with an arch? What is the overall look and feel of the room you are using? Traditional, modern, neutral? What are the main colours? Are there any special considerations, e.g. peculiarities to the shape of the room, the height of the ceiling, suspended light fittings over the tables etc. This is where your camera becomes a valuable tool. If possible take plenty of photographs from different viewpoints. 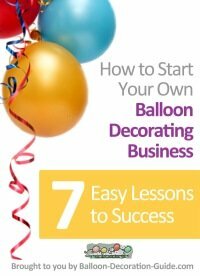 These will help you visualize, plan and finally create your balloon decor. This question is closely related to the previous one, but deserve its own section. For an indoors balloon decor, the choices are wide open. You can select whatever design your heart desires, and your budget and skills allow. Choose an air-filled design on a fixed frame. Don't use pearlized colours - they oxidize faster. 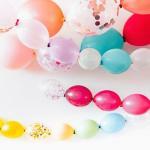 Use light colors rather than dark colors as dark balloons will pop more easily when the temperature rises. Use the largest balloons possible and underinflate them by at least two inches (for example, buy 14" balloons if you want to blow them up to 11" size). Try to inflate the balloons at about the same temperature they will have to endure; in other words, inflate them in the sun if they will be in a sunny place, or in the shade if that's where the decoration stands. Use heavy weights - at least quadruple the weight you would use for the same decor indoors. Decisions, Decisions, Decisions! And Not Just About the Perfect Balloon Decor. How to decorate your party is of course only one of many decisions that you have to make while planning your event (a special birthday is already pretty stressful, but what if you are planning a wedding, maybe even YOUR own wedding?!). Perhaps your head is so full of unresolved questions that there is just no room for yet another decision ... if this is the case, then 'Choose It!' is the best remedy for you - prescription free, no side effects, easy to apply and a 100% effective! Once you've taken the first dose, you won't want to miss it. Oh, and did we mention that you get it at no cost? Choose It! 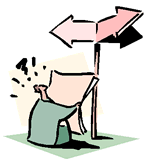 - Click here for immediate access to your "decision making remedy" (opens new window). Ready for the next step? Now that we've gone through the essential points and had some great help in making our decisions, it's time to gather the tools and materials. Let's start getting creative!